We enjoyed a short class on silhouettes and sunsets. 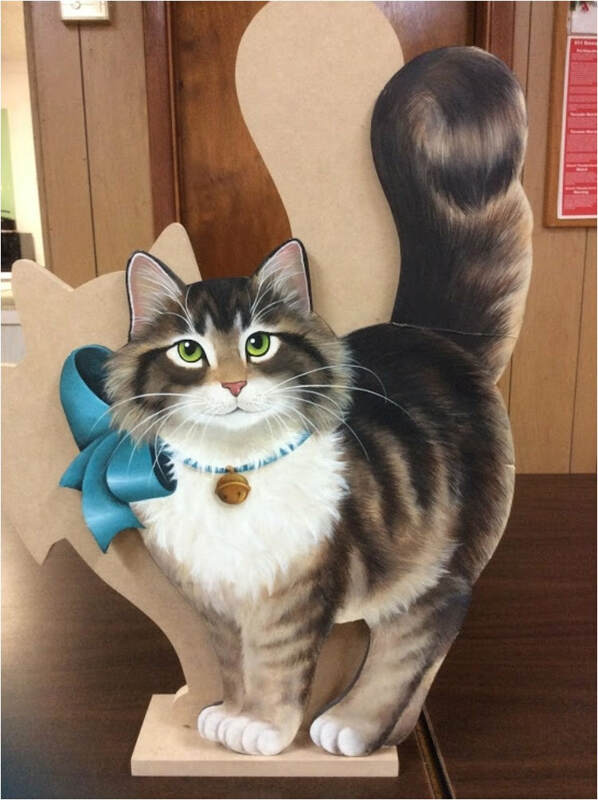 Lynn Merritt is teaching this adorable cat in acrylics in August. Linda Duff is teaching this heron in alcohol inks in September.